I often get asked what I'm reading. Here is a short list of some of the most important books I've read that will make an impact in your life and the way you look at your work as a business. Sometimes the audio book is so entertaining or has an extra pizazz that it's a shame to miss. I've noted when I think the audio book is the one to buy. I am an affiliate for Amazon because I love their quick shipping and availability of nearly anything I could need. My links below are affiliate links. You should sign up to be one too! This is your entryway to a whole system of marketing focused on differentiation, what makes you unique. I was so ‘fascinated’ by Sally’s teaching that I went on to become a Fascinate Certified Advisor. I’ve taken training with Sally to clearly understand how to help people understand the differences that make them stand out and how to apply this to your business and life for confidence and success. I see this book as a reference manual, so you really need it in three formats: Audio - Sally herself reading the book to you to listen while you drive…, Kindle - to have it with you wherever you go, and Hardcover - to keep on your shelf and go directly to a specific place quickly as needed. It’s amazing when gamechangers are living amongst us and we can learn from them. I highly recommend consuming this ‘book’ and/or reaching out so I can help you discover your Fascination Advantage. On your next driving trip or while working on something that doesn't require too much thought, grab this Audible book. I just happened to buy the audio for a trip and afterwards read the book and I can tell you that you'll never read it in your head in the hilarious and upbeat way that the author reads it to you. Incredibly entertaining while teaching core business strategies for success. The fun format applies the same system to a number of different types of businesses which helps you see how they can applied in your own practice. 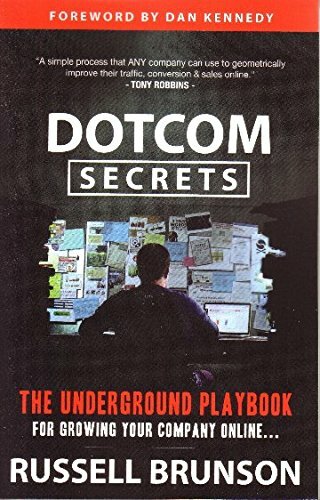 Another book by the extremely entertaining and wise author of The Pumpkin Plan. This book begins with highly enjoyable conversational and storytelling audio, but you'll get to a point when he goes deep dive into setting up your accounting and banking systems that will probably be most applicable to see the words and information in writing as it gets more complex. So, if you feel like splurging you could do both the audio book and kindle or print to get all parts of your mind on board with this mind shift for business owners that guarantees financial success. Russell has a way of teaching business (with visuals) that speaks to the creative mind. He wrote this book back in 2015, and I wish I had found it then. Some call it a bible of sorts; it is the key to online marketing and clarity in your target market. We’re all in business because we want to help people in some way. Zero in on defining who you’re serving and what makes you uniquely equipped to help them. Create products that solve their problems. Attract those who want to buy what you’re selling. Russell has taught MANY how to become multi-millionaires. You could pay 5 figures to be in a mentorship program with him, or start with this $12 book. It’s worth it’s weight in gold. I've been following Donald Miller for many years and participating in his online offerings as well. When he offered StoryBrand as a course I was an early adopter and then the book came out and I can say that it's a storehouse of information to learn how to market to your customer in a way that resonates and causes action. Donald is a great narrator, storyteller, so you can't go wrong with the audio book. I would also grab a written version for a quick reference guide. Priceless information that everyone with a website needs to know. If you have good intentions to read the Bible daily but struggle with consistency and discipline to get started this is the perfect book for you. I've read the full Bible multiple times using this version. It truly becomes a habit in a short time. The best part about this format is the way it's set up by date. You never have to decide where to start in the Bible, it leads you in by today's reading and then has a great index in the back if you're looking for specific books or verses. It comes in Kindle, but for me - out of sight, out of mind. I like having it nearby my morning routine. It will change your life in a very powerful positive way.